Egyptian Teenager Unveils Plan to Turn Plastic Waste Into $78 Million of Biofuel! 16-Year-Old Egyptian Scientist Finds Way to Turn Plastic Waste Into $78 Million of Biofuel! Egyptian teenagers are on a roll lately – if they’re not proposing the next-generation of space propulsion systems, then they’re figuring out how to use the country’s plastic waste for fuel! Sixteen-year-old Azza Abdel Hamid Faiad has found that an inexpensive catalyst could be used to create $78 million worth of biofuel each year. 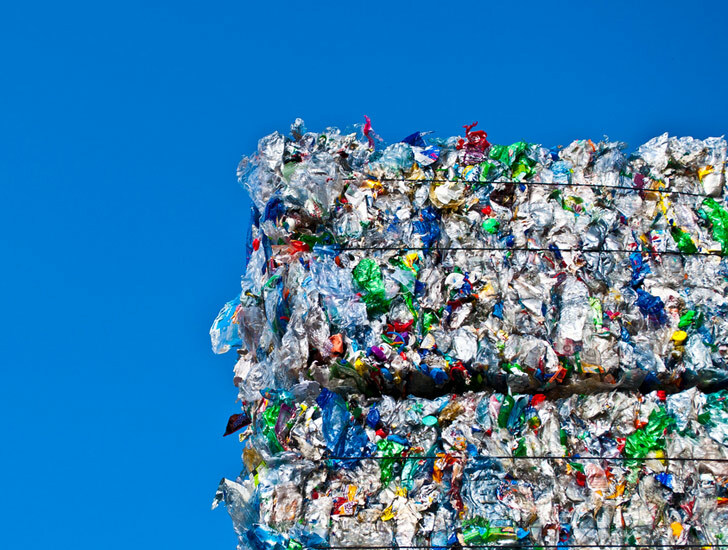 Egypt’s plastic consumption is estimated to total one million tons per year, so Azza’s proposal could transform the country’s economy, allowing it to make money from recycled plastic. What Azza proposes is to break down the plastic polymers found in drinks bottles and general waste and turn them into biofuel feedstock. (This is the bulk raw material that generally used for producing biofuel.) It should be noted that this is not a particularly new idea, but what makes Azza stand out from the crowd is the catalyst that she is proposing. She says that she has found a high-yield catalyst called aluminosilicate, that will break down plastic waste and also produce gaseous products like methane, propane and ethane, which can then be converted into ethanol. Speaking about the breakthrough, Azza said that the technology could “provide an economically efficient method for production of hydrocarbon fuel” including 40,000 tons per year of cracked naptha and 138,000 tons of hydrocarbon gasses – the equivalent of $78 million in biofuel. Azza has already been making waves in the scientific community and has been presented with the European Fusion Development Agreement award at the 23rd European Union Contest for Young Scientists. She is now looking to get her findings patented through the Egyptian Patent Office. Unsurprisingly, Azza’s proposal has generated a lot of interest from the Egyptian Petroleum Research Institute, which is seeking to reduce its waste. With the amount of plastic waste in the Middle East, not to mention the world’s oceans, any breakthrough such as this is happily received. 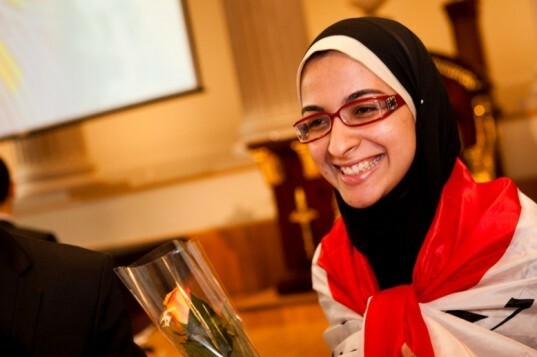 We can’t wait to see what Azza Abdel Hamid Faiad does next and we’re sure she has a bright future ahead of her. Question is what kind of by-products are there and does it actually generate more power than it takes to make, if its not harmful and generates quite alot then I imagine it'll be put on mass production, doesn't just sit there otherwise, it eventually gets broken down by special bacteria but it takes a while. We already to this in the landfill systems here in the US. I wonder about the toxic effect to put this stuff in the air...probably no worse than it is now right? At least we can encourage scavenging plastic. My question now would be: what are the environmental factors to using and releasing the Aluminum Ions? Wishing Azza a brilliant and dazzling future that makes us more hopefull to get their scientific output from the heart of the women of the mid-east as well as the whole world. Brilliant! This invention will give plastic waste a value which means people will have reason to collect it. Combine this with the filter to extract plastic waste from the ocean and you can solve two problems in one go. This is Nobel Prize material!! Keep up the good piece of work, I read few posts on this website and I think that your weblog is really interesting and has lots of good information. Wondering how to contact Azza. I am interested in her invention and want to use it in Bangladesh where plastic is making people sick and fuel is expensive. Thanks. Please come to Nigeria and make more billions. I wish you happy time and endeavour to help the needy and the helpless world wide. we are an egyptian IT company and we are very happy to read about Azza's discovery. we are very keen to help fund Azza and to help her moving forward. how can we contact her? A couple corrections to the above story-- according to SciDevNet, her name is actually Azza Abdel Hamid Faiad, not Falad. The catalyst she discovered is made of calcium bentonite, not aluminosilicate. http://www.scidev.net/en/climate-change-and-energy/biofuels/news/student-finds-new-way-of-turning-plastic-into-biofuel.html Apparently the process also avoids releasing harmful gases while producing methane, propane, and ethane which can be used as stocks for methanol fuel. I'd suspect you could just burn the gases as fuels, too.